Whether you want to chat, collect email, sync data with your computer and a personal remote storage facility, protect your children from unsavory websites or edit movies or photos, the answer comes with Windows Live Essentials. You can use this marvelous set of free applications from Microsoft to increase productivity in your home office for such engaging pastimes as creating videos, managing photos and blogging. Now you might wonder why you need Windows Live Essentials, but the general mood is that there is at least one application – the Windows Live Messenger chat client – that most Windows users will want. Installing the suite on Windows 7 is simple, and you can use the customize option to select which components you download and install. Why Do I Need Windows Live Essentials? Before we get to the fun stuff such as making movies, a quick word about Windows Live Mesh and the Windows Live SkyDrive. Microsoft gives Windows Live users a free 25 GB of online storage, 5 GB of which can be used to sync data from your PC with Windows Live Mesh. This is a great way to keep a copy of your most vital documents and photos, and if the 5 GB is not enough, you can even access the rest of the storage as a network drive in Windows. 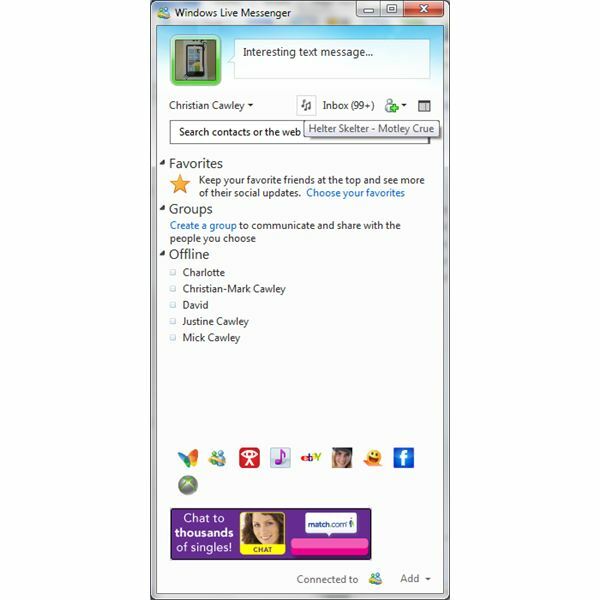 Probably Microsoft’s most popular free app, Windows Live Messenger began life many years ago as Microsoft Windows Messenger, and has undergone several name changes since. The new messenger uses your Windows Live account and password but offers much more than just chat. It offers photos that your contacts have shared as well as some integration with some browser-based social networking services such as LinkedIn and Facebook. It also offers access to Live Spaces gadgets, and you can perform plenty of tricks with Windows Live Messenger. An important new application from Microsoft is Windows Live Family Safety, vital for anyone with children old enough to access a computer. With this software, you can control who uses your computer and when, making it a great way to limit Internet access so that your children can focus on their homework. The tool can even be used to restrict the times that certain apps, such as games, are launched, providing you with a great deal of control over how the computer is used and how your children spend their time. One popular element of Windows Live Essentials is the Windows Live Photo Gallery tool. This application will pick up all of the photos on your computer (based on pre-selected folders) and attempt to sort them out for you, even remembering faces and names so that you can easily label and tag the photos. In addition, you can edit your photos. For scanned photos, you can get rid of tears and cracks, while all photos can be improved with removal of red eye, automatic tweaking and even applying some preset color filters. Best of all, Windows Live Photo Gallery images can be uploaded to Facebook or shared via your SkyDrive account. One of the few complaints about Windows 7 was the lack of a native email client – and this is it. 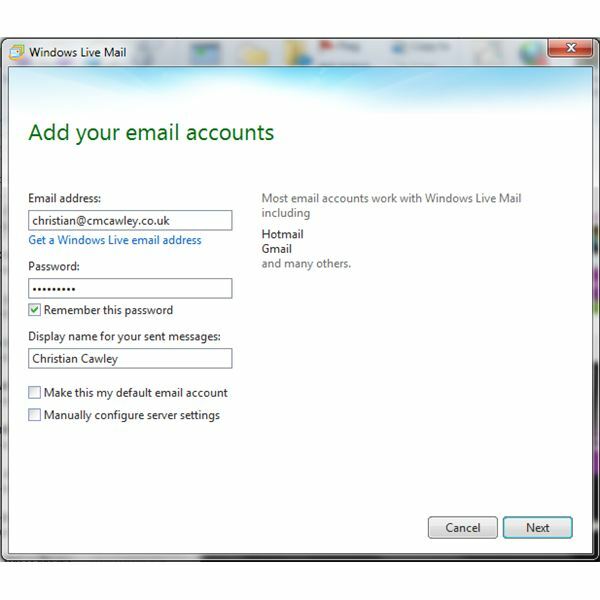 While some versions of the software shipped with Windows Live Mail already installed, most did not, and with this email client installed you can access messages from a Windows Live/Hotmail email account or any POP or IMAP email account you might have. Windows Live Mail also features a calendar that you can easily configure, or even sync with Google Calendar. Microsoft Movie Maker was a popular element of Windows XP Service Pack 2, but was strangely missing from Windows XP. The reason was its migration to Windows Live Essentials as an optional download for Windows 7 users. Editing movies with Windows Live Movie Maker is a more streamlined process than before, although many of the same tools and features are present. There are several other tools in Windows Live Essentials that you should check out. One of these is Outlook Connector, a tool for allowing you to access a Windows Live Hotmail account in Microsoft Outlook 2010. This is a useful feature, one that will hopefully be built into Outlook in future. If you’re a blogger, meanwhile, Windows Live Writer is a desktop-based blog management application which can be used with WordPress and Blogger accounts (among others) for managing, writing and publishing blogs.